I don't know about you, but I really enjoy frozen treats. They just seem more 'treaty' to me, I guess it is the kid in me! And they generally means that it is warm and sunny enough to want to sit in the freezer, which I love! 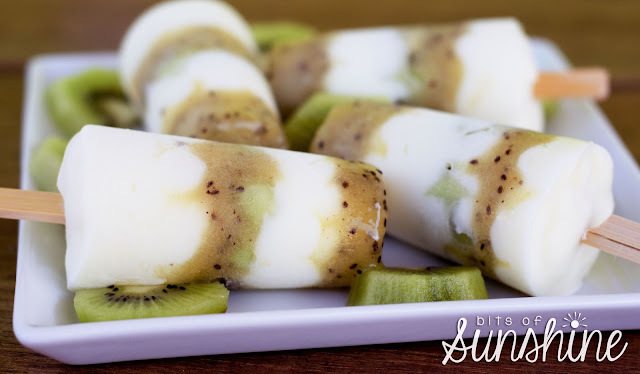 And these frozen treats are so easy to make, it takes just 3 ingredients! 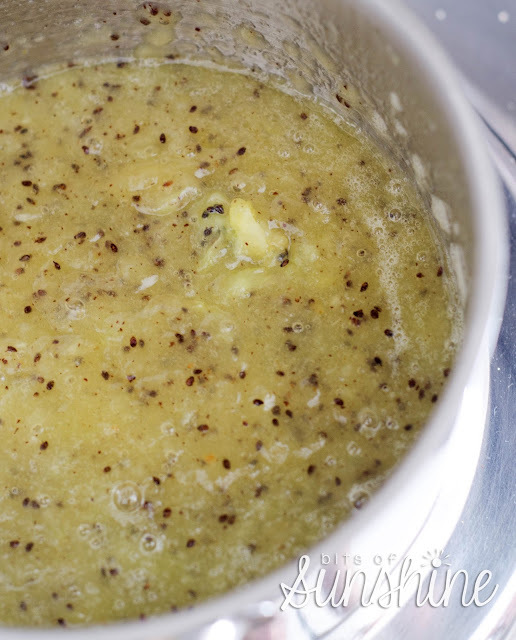 Let this mixture cool for a couple of minutes before going to the next step! 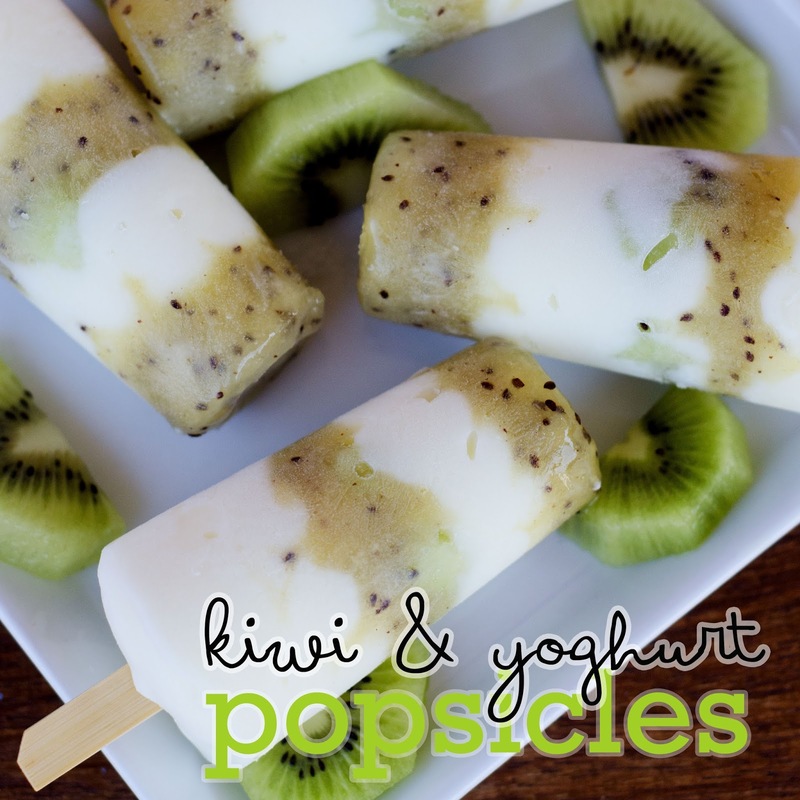 When the kiwi mixture is cooled, grab your popsicle containers and start layering the kiwi mixture and some vanilla yoghurt. (I had used some double cream greek yoghurt with 1/4 cup powered sugar mixed in, which I enjoyed, but I don't think it will be such a hit with kiddies!) 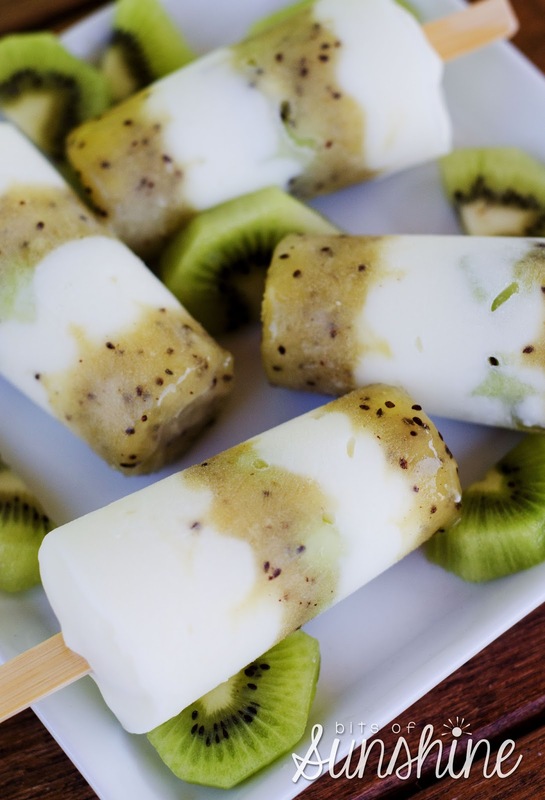 I added some fresh, chopped kiwi pieces to my middle layer, too! 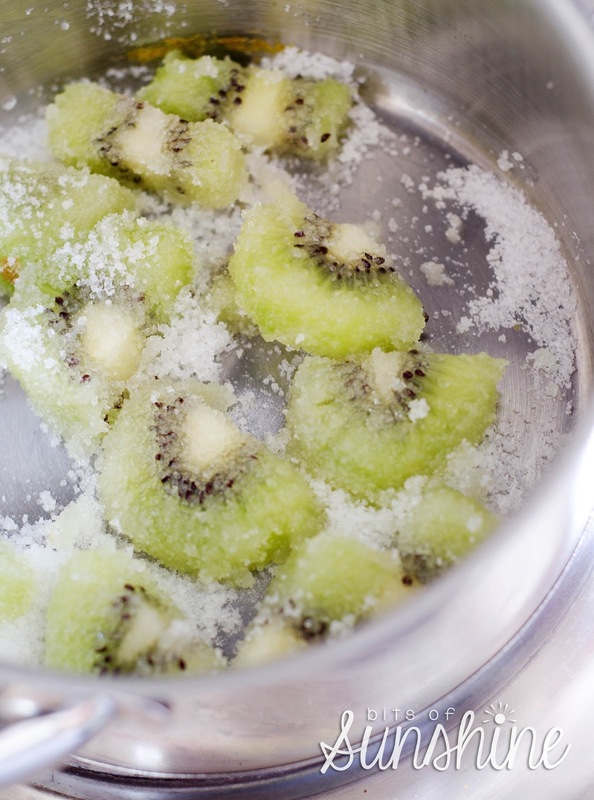 Once this is done, push your sticks in, and pop them into the freezer. 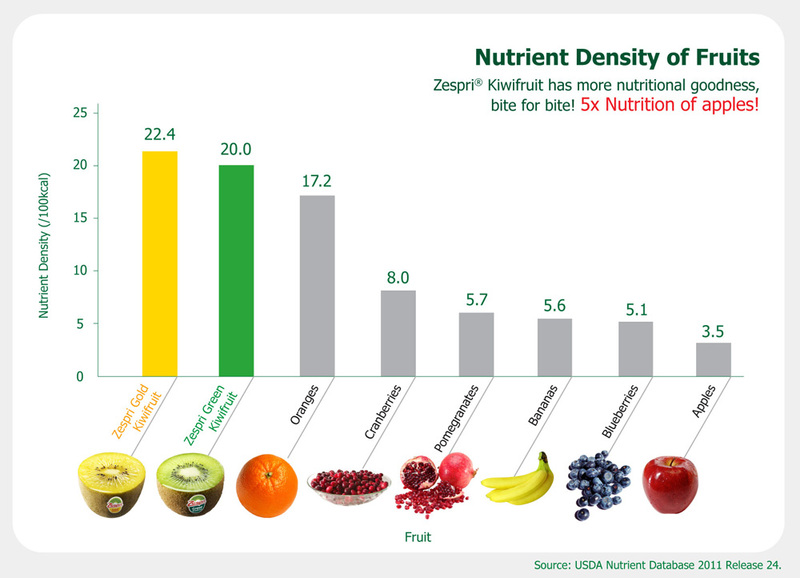 Anyways, what I meant is Kiwi Fruit scores 3 times the Nutrient Adequacy of cranberries, melons, pomegranates and bananas! And 25% more then papayas! So, if you are battling to get your 5 a day in, at least get a little green nutritional firecracker into your diet. 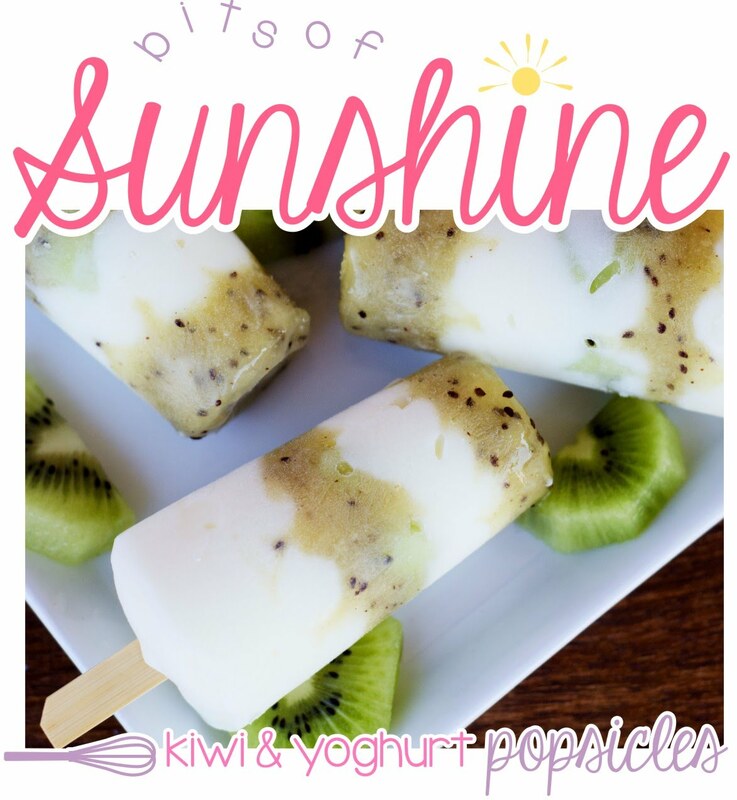 Even if it is in the delicious form of popsicles! What is your favourite summer treat? I would love to hear! Maybe I will even make it soon, seeing I will need to start stocking my freezer with some summer treats! let them chill them until frozen, then take them out and enjoy! for a tasty alternative, just mix all the ingredients in a bowl and spoon into popsicle containers instead of layering it!